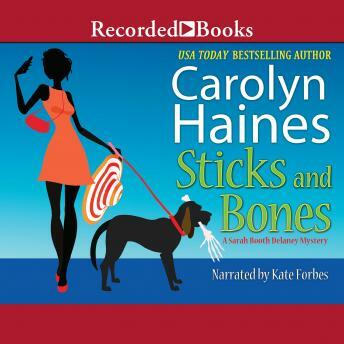 In Carolyn Haines's next charming mystery, Southern belle turned PI Sarah Booth Delaney digs into a cold case when a film crew comes to town to research the death of a prominent family's son. Private investigator Sarah Booth Delaney and her friends are celebrating New Year's Eve at the party of the year, a smashing Winter White Garden party at the newly renovated King Cotton Boutique Hotel. It's a dazzling success.until Frangelica "Sister" McFee walks through the door. Sarah Booth knew Sister in college, before Sister became a bestselling author and moved to New York, and fame and fortune don't seem to have tempered her arrogance and cruelty. Sister's latest book is a memoir about the death of her mother and brother many years ago. Now, a film about the book is in the works, and a film crew has descended upon Zinnia, Mississippi, to tell the complete story. The film crew soon realizes there may be more to the story than meets the eye-or is told in Sister's memoir-and they hire Sarah Booth to discover the absolute truth about those deaths so many years ago. But Sarah Booth quickly realizes that someone is desperate to keep the truth hidden and will go to any lengths necessary to protect a long-held secret.